NASA has revealed that the winning suit design in its “space poop challenge” will likely fly on the first crewed Orion spacecraft fight, meaning the winning poop innovator could see their waste collection system fly to space as soon as 2021. Nasa’s challenge, now completed, was seeking designs for an in-suit waste management system that could be used in the crew’s launch and entry spacesuits for Exploration Mission 2’s deep space mission between 2021 and 2023. The “poop suit” will be an improvement on the current system – a spacesuit waste collection garment (sometimes colloquially referred to as a diaper). The winning design, scheduled to be announced on February 16, will win a prize of $30,000. The winning garment needs to work for any gender, and has to flush away up to six days of feces, urine and menstrual fluid without the astronaut needing to use his or her hands. The contents need to be moved away via microgravity so that it all floats. “The final waste management garment that is created won't be used nominally, but only in certain emergency situations that require spending long durations in a pressurized suit," Kristyn Johnson, one of the principal investigators for the study, told Space.com. "For shorter durations, during launch and entry, the crew will plan to use an adult diaper as it fits our needs and is something we've used in the past." 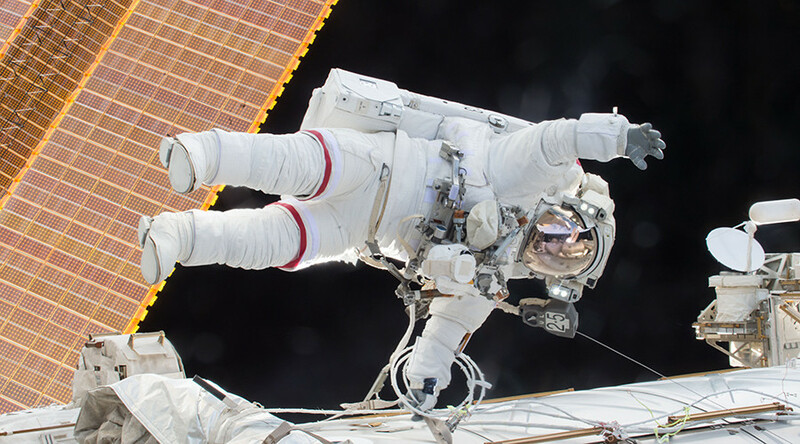 NASA still uses the Extravehicular Mobility Unit (EMU) for spacesuit situations on the ISS. The diaper-like collection system has been around since 1981 and hasn’t been updated, Johnson says, because it works just fine. "No major design changes have been made to the EMU waste collection garment over the years, as it still fulfils all the necessary requirements," Johnson said. "We're looking for a solution that will be included on the vehicle for upcoming manned Orion missions," she added. "EM-2 will be the first flight of a long duration waste management device. There is a possibility that it could be a part of a future Mars trip timeline, but we're not focused on that aspect right now."